Home Projects How to add users to Projects? 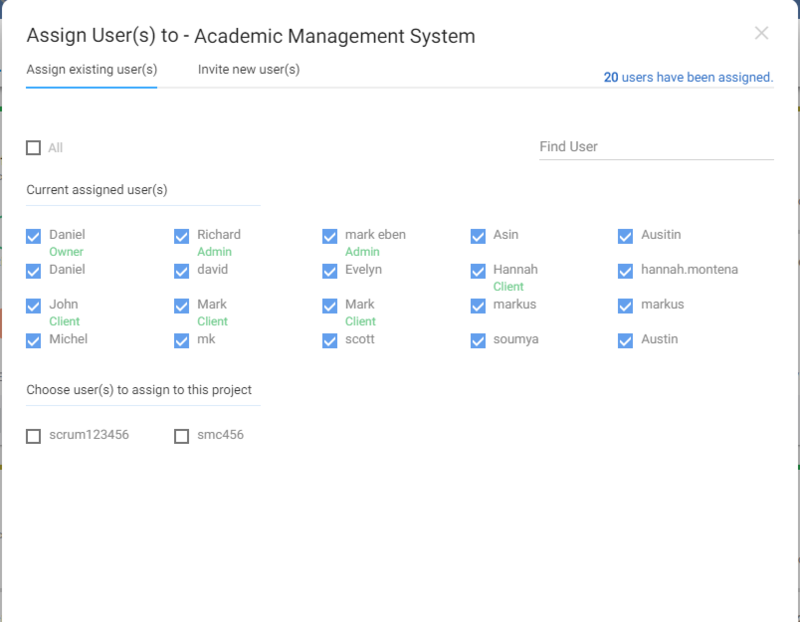 How to add users to Projects? Click on the “Projects” menu on the left panel for going to the projects listing. Take mouse over the specific project box, it will show 4 action items ,Click on “Add User” link, It will show below screen. Select user(s) from left hand screen , it will automatically move to right hand screen , click on save button to save the data.If user does not show then search that user , if user does not exists on system , then invite user to orangescrum by clicking on Add New user button on top right corner.